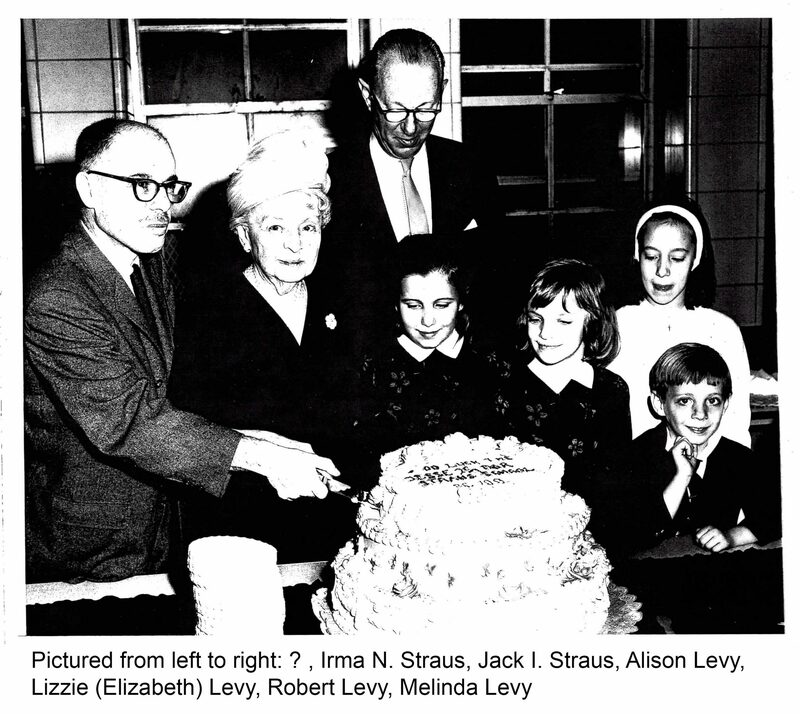 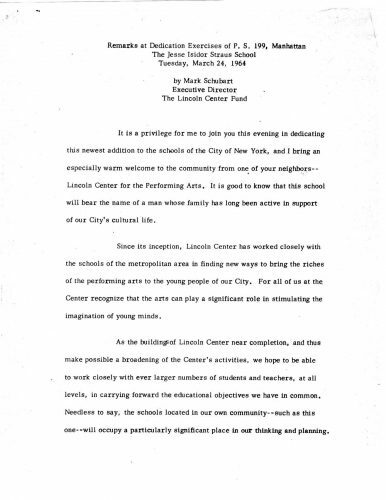 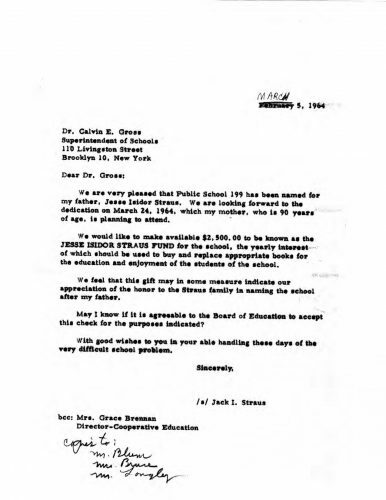 PS 199 opened its doors March 4, 1963 serving the Lincoln Square neighborhood in the Upper West Side. 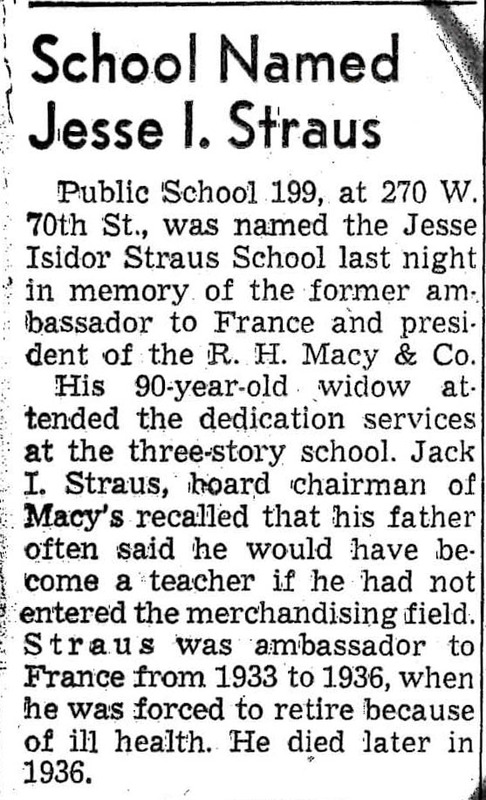 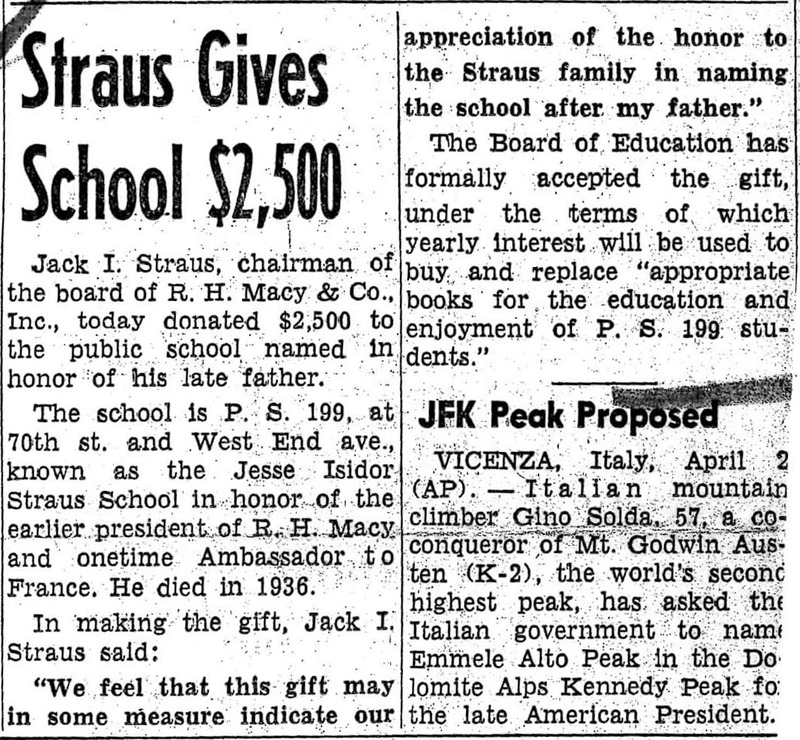 The school is named after Jesse Isidor Straus who was the son of Isidor Straus, one of the original owners of R.H. Macy’s. 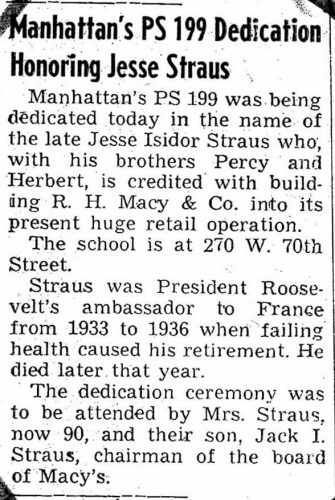 Jesse Isidor Straus was president of R. H. Macy & Co. of New York, director of the New York Life Insurance Company, vice-president of the New York Chamber of Commerce, and served as the US Ambassador to France under Franklin D. Roosevelt from 1933-1936. 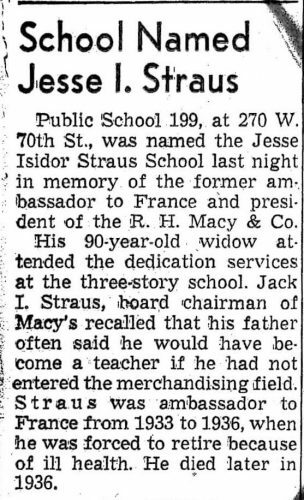 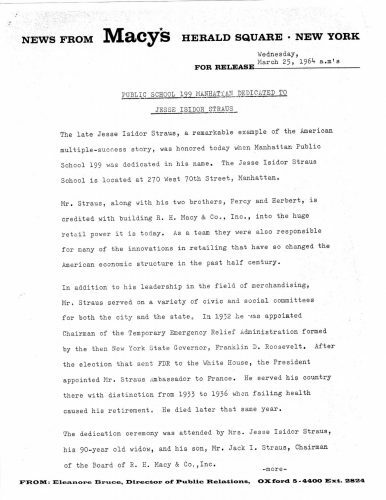 More on Jesse Isidor Straus. 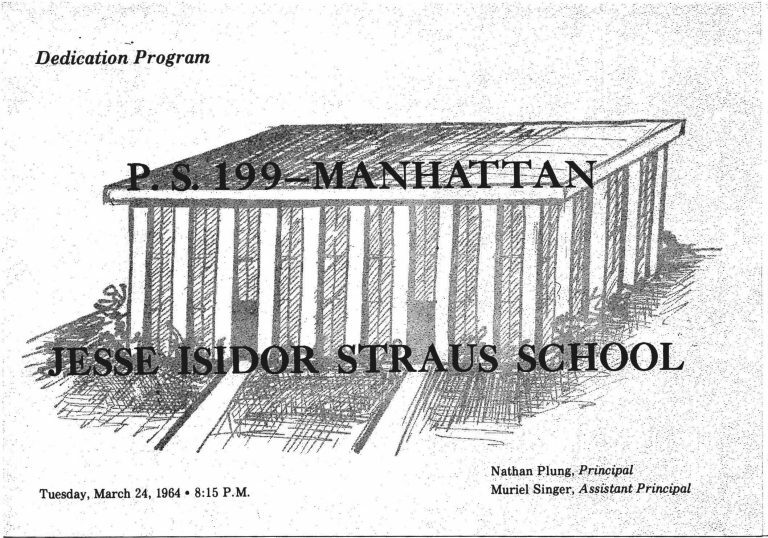 Famous architect Edward Durell Stone designed the school. 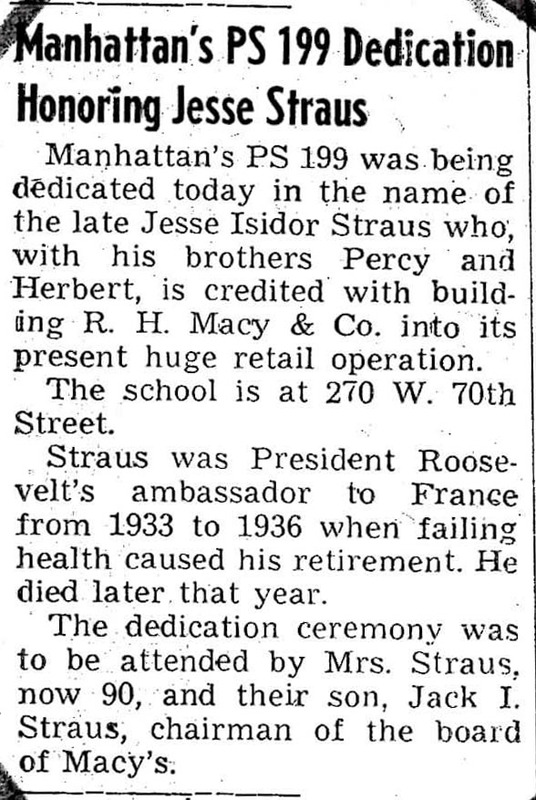 Some of Mr. Stone’s more notable works include Radio City Music Hall, MoMA, and the General Motors building. 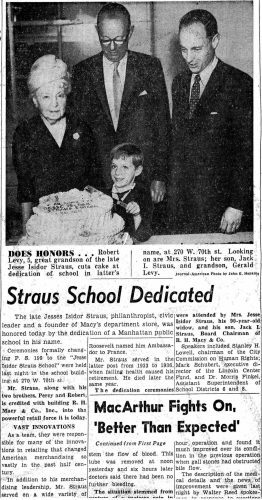 More on Edward Durell Stone. 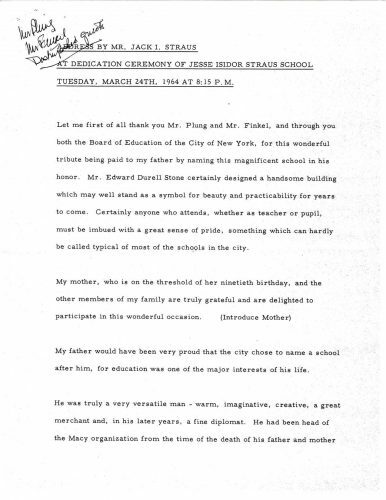 PS 199 was named in his memory. 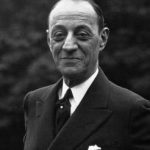 (June 25, 1872 – October 4, 1936) served as the American ambassador to France from 1933 to 1936.